This is the debut EP from new Fat Possum signing Ellis. The six-track release presents an uncommonly fully-realized aesthetic to match the strength of Siggelkow's songwriting. Built from simple instrumentation, but deftly arranged to lend a grandeur and devastating scale to Siggelkow's skillfully rendered laments, the release is a resounding statement from a young artist who is poised for a reception that equals the scope of her remarkable gifts. 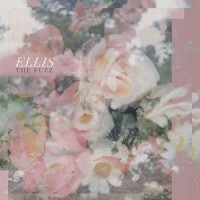 Ellis, who, after generating buzz in her local scene on the back of opening stints with the likes of Soccer Mommy, Gabby's World, Chastity, Palehound, and Free Cake For Every Creature, garnered international acclaim with the release of a series of singles, earning comparisons to Mazzy Star, Alvvays and Slowdive from outlets like Pitchfork, Noisey and Stereogum, who marked her out as one of "a new generation of exciting songwriters."